Tupac, Biggie, Jay-Z. New York City radio personality, Angie Martinez, has helped put some of hip hop's biggest names on the map. But her greatest success story is her own. Raised by a single mom in the New York City neighborhoods of Washington Heights and Brooklyn, Martinez began to get into trouble at age 15. While her mom worked, she spent her days drinking, smoking pot and listening to music with her friends. During that time, Martinez was absent more days than she was in school. Hoping to turn things around, her mom sent her to Miami to live with an aunt. A few months later, her mother moved too after landing a job as programming manager at Miami radio station Power 96. Martinez got an internship at the station and discovered she loved the radio. After she graduated high school, Martinez moved back to New York and got an internship with Hot 97. At the time, it played freestyle dance music. It would be years before the station turned to hip hop music and for Martinez to start hosting her own show. Two big turning points in Martinez's career were leaving Hot 97 for New York's 105.1 and interviewing rapper Tupac Shakur. 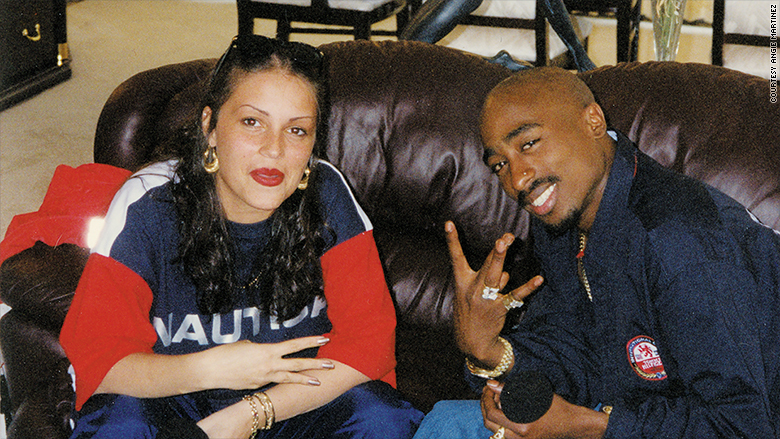 Martinez's interview with Tupac was so powerful that she feared it would further fuel the growing rivalry between the East and West Coast hip hop scenes and never released it in its entirety. Now, at 45 years old, Martinez is known as "The Voice of New York." In May, she published her memoir, My Voice, which sold out immediately and was on the New York Times Best Seller list for two weeks. This is Angie Martinez' American Success Story. What are some of the biggest hurdles you've faced in your career? I started in radio really young. I was in the public and I was still learning who I was. Now I know who I am and I know my strengths. I wish I had developed that earlier. I could have accomplished a lot more in my life. 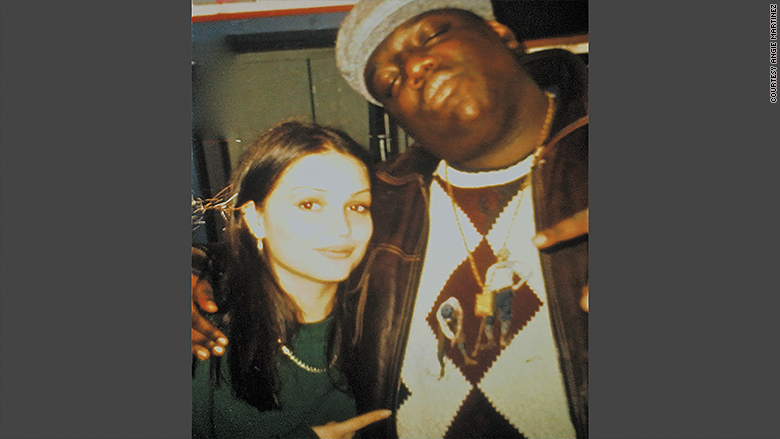 Martinez poses with the Notorious B.I.G. What were your greatest personal successes? Something happened to me in my 30s where I started to come to terms with who I was. I had a better sense of who I was and to see the bigger picture of my life, instead of harping on all the things that slowed me down in my 20s. That was a big accomplishment. At the height of the East Coast/West Coast rivalry Martinez was invited to California to interview rapper Tupac Shakur. Interviewing Tupac was a turning point. I realized that how I'd use my voice could really matter. Another moment was changing companies and leaving Hot 97. I had to leave the nest to become my own, fully. That gave me the confidence that my voice was my own. And writing my memoir was a real milestone. To be able to look at my whole life and assess my challenges and my successes and to be able to give it to people in a way that they can find value in that for themselves, that's great. Who has helped you out the most? It all starts with my mom. She's always been there. She's someone I can trust unconditionally and who's loved me unconditionally. When I needed some tough love she did what she was supposed to do. 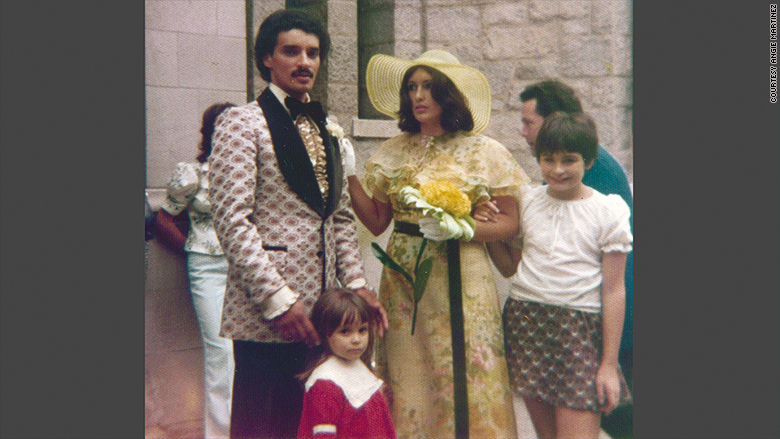 This is the only photo Angie Martinez possesses with both of her parents in it. I'm a really good judge of character and that's given me great friends, people that I can really be honest with. People like Funkmaster Flex, and the other people that I worked with earlier in my career, I would not be here without them. What would you say to a person who has no idea what they want to do? I think that sometimes it takes people most of their life to figure out: "This is what I love! This is what I want to do!" Just keep looking for it. There's opportunity everywhere. In high school Angie Martinez knew loved music. She had no idea where that love would lead to though. Some people have a plan and they know what they want to do. That wasn't me. But I knew I loved music and radio so I learned everything that I could about it. Live your life with passion, and your work and passion may come together. But it's not by accident it's by showing up and over delivering. You write that you had trouble paying your bills, even while working. You were actually evicted. I think a lot of us just weren't taught about [finances.] It's not something that I blame my mom for. I think my mom was learning, herself. I was young. I started working at the station in my teens with no real thought about how to handle my money. I've worked with financial advisers and friends and I'm still learning, but clearly I'm not in the position where I was back then. 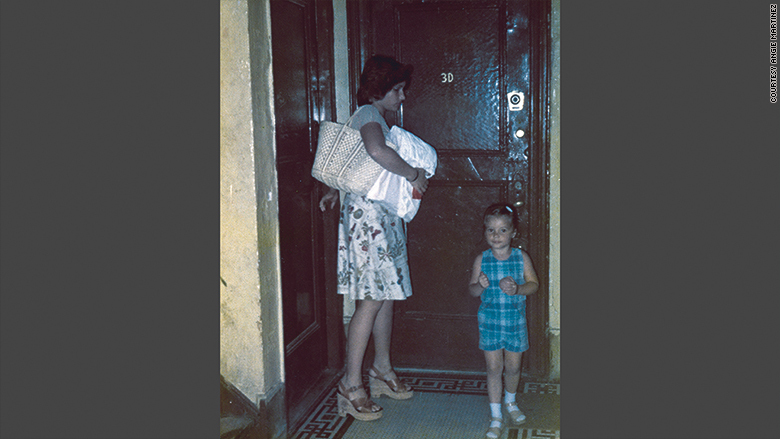 Martinez and her mother, Shirley, leaving her grandfather's apartment in Washington Heights. I think success is when you're doing something that makes you feel fulfilled and when you're offering something to the world. I have a good life, but I'm always chasing success and growth. I don't know if that's good. There's something to be said about that 70-year old sitting on a porch drinking lemonade, chillin'. 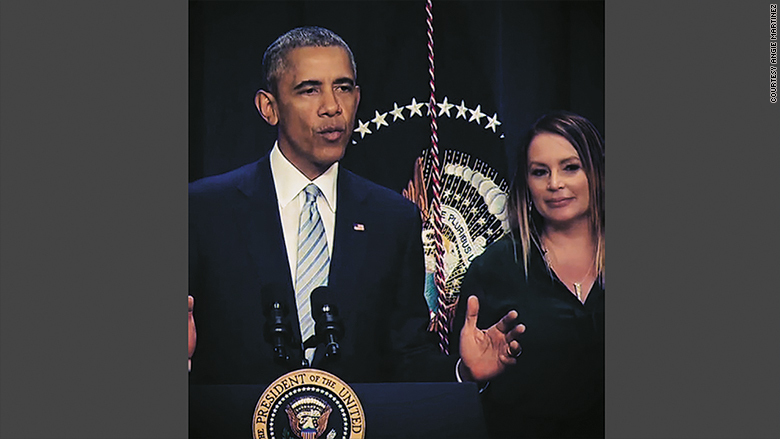 Martinez shares the stage with President Obama after moderating a panel on criminal justice reform. Is our country in a hopeful place or in a downward spiral? There's going to be hopeful moments and there's going to be downward moments, it's an evolution. Look at the racial issues in this country. I think they're getting worse because they're about to get better. People are just tired of the status quo in terms of how black and brown people are treated. Our time is noisy and complicated, but we'll push through. There's a quote from Tupac, "I'm not saying I'm gonna change the world, but I guarantee that I will spark the brain that will change the world." I feel like that about my life.